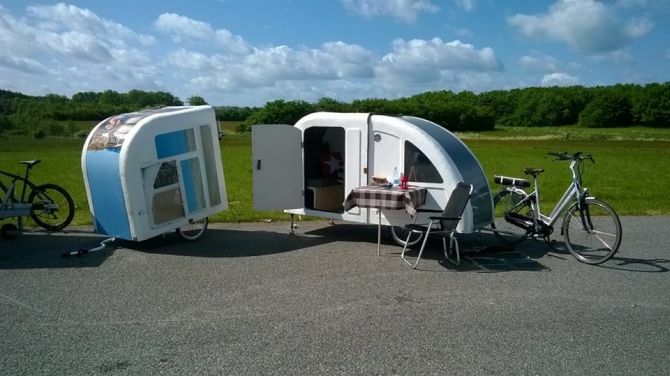 The Wide Path Camper weighs 100 pounds and can be set in just three minutes. Under development since 2012, the mini RV can carry 300 pounds of essential items and camping gear. 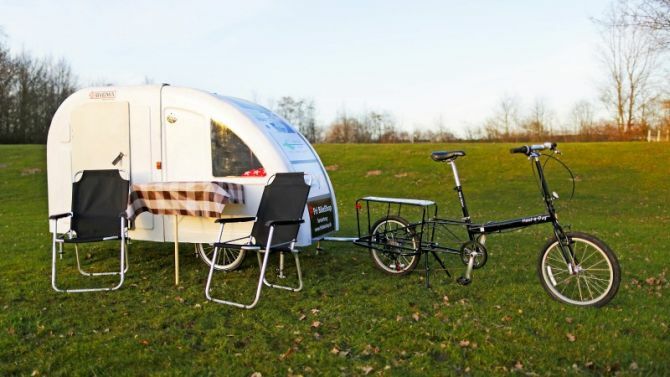 The caravan comes with a hard-shell exterior, a lightweight and collapsible design which offers safety along with much needed relaxation after a hectic ride. 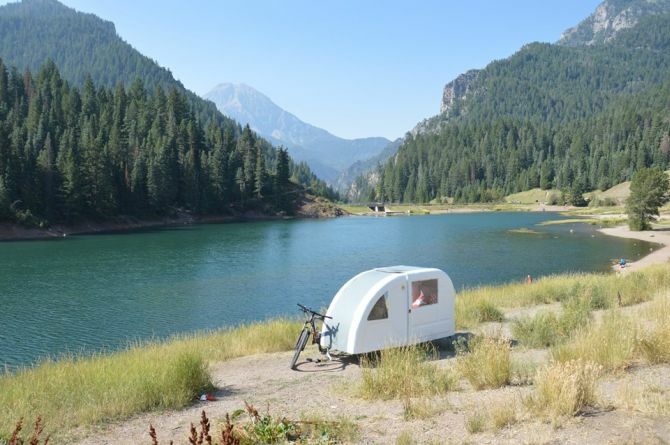 Expanding to 39-by-102-inch for camping, the trailer features a comfortable bed for 2 adults and one child and a convertible space for 4 adults to dine-in. 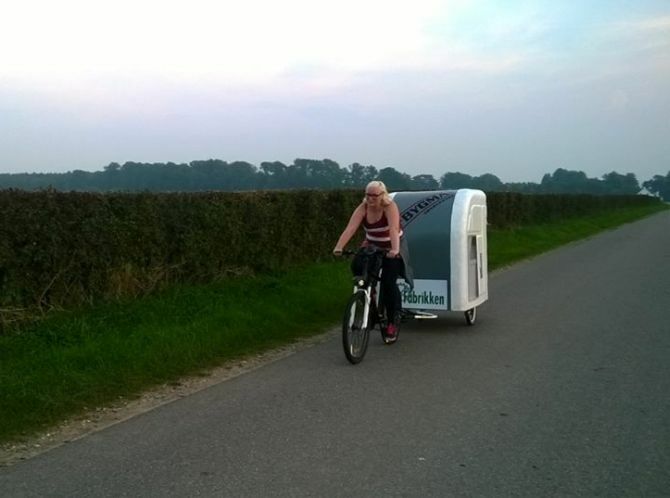 The bicycle camper designer will be adding features like the sunroof and solar panels to the upcoming models. Thus, besides charging phones and other devices cyclists can also add extra power to their electric bikes while cycling through rocky and uphill terrains. Well, for now you must in good shape to pedal with so much weight attached to your back. 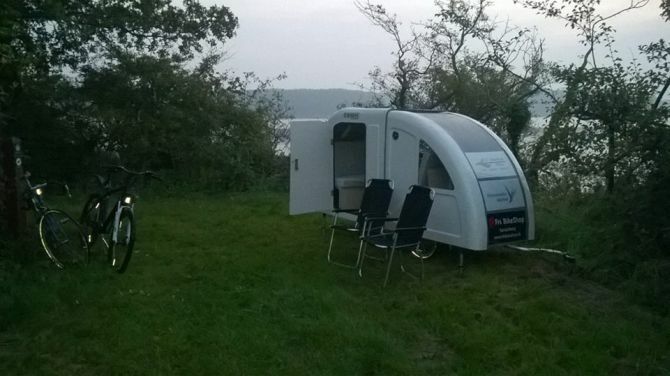 The Wide Path Campers will be available for purchase from the spring of 2016. The basic model is priced at $4,000 whereas a luxury model with higher quality mattress and a tablet holder will set you back around $4270.